Unnecessary idling is costing fleets Millions of dollars every year. No matter what the consequences are; needless fuel consumption, excessive emissions, shortened service intervals, reduced equipment life span, or lost production time, fleets are increasingly trying to cut down engine idle time. Even rental fleets experience the frustration of customers quarreling with them over paying for idling hours. Furthermore, today’s diesel engines are being manufactured more efficient than ever before and it’s reached the point where you simply can no longer idle them for long periods of time or they will inevitably self-destruct. Many fleets have already implemented no-idle policies in an attempt to combat these losses. Where adhered to, the policies work well in good weather but during cold weather extremes they can be counterproductive and actually dangerous. 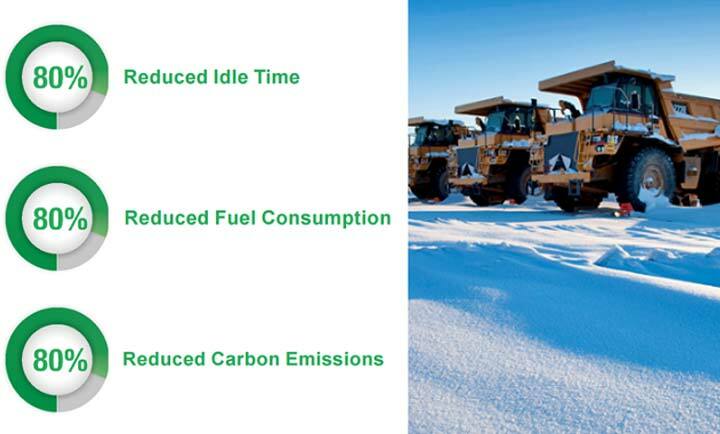 In reality, when winter temperatures plummet, the no-idle policy is abandoned to instead protect equipment and maintain a safe environment for operators. This is where state-of-the-art technology comes to the rescue. 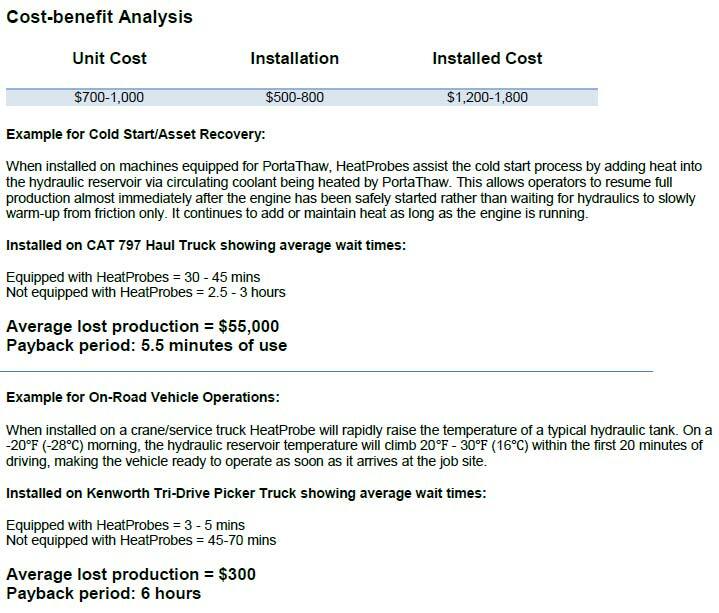 It’s plain to see that there’s an urgent need to reduce idle time but the cost benefits and rapid ROI of embracing equipment upgrades to facilitate this can be challenging to quantify. From the examples above it’s clear that investing in Idle Reduction Technologies can seriously and positively impact your bottom line. 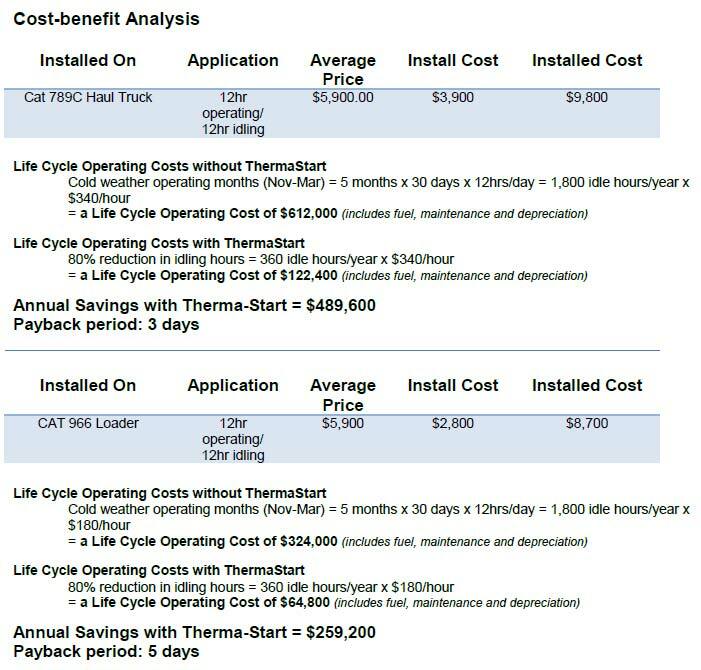 Let us help you with your strategy for Idle Reduction and Equipment Winterization. Thermex has a wide range of customizable products to help you protect your assets through this harsh winter season. 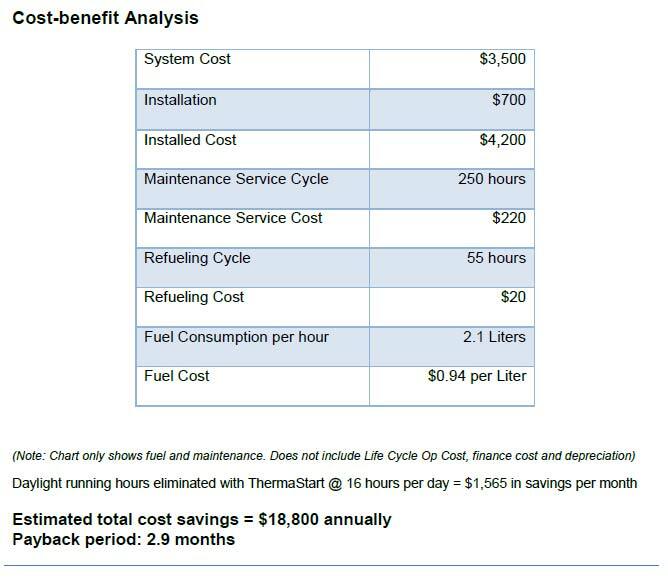 Call us today at 800-865-1532 or visit us at www.thermex-systems.com and request a free ROI calculator.